Richard Stilgoe’s famous musical Orpheus – The Mythical is revived at The Other Palace, which is dedicated to housing rarely-performed and new musicals. Presented for the stage by the young, disabled students of the Orpheus Centre, the production runs for strictly limited performances. Celebrating the 20th birthday of the Centre, Orpheus sees a group of children creating the same magic as the legend himself; making the world stop and listen. Along with alumni and recent graduates of the Arts Educational School, the production features a Greek Chorus played by some of the West End’s most famous faces. Orpheus is the well-known myth of the title character’s voyage to find the golden fleece and a dangerous journey down into the depths of the Underworld, to rescue his wife Euridice from Hades. Catapulted into the contemporary, the musical comedy sees Orpheus battle the efforts of the bored, wilful Gods and grapple with a rather unreliable satnav. 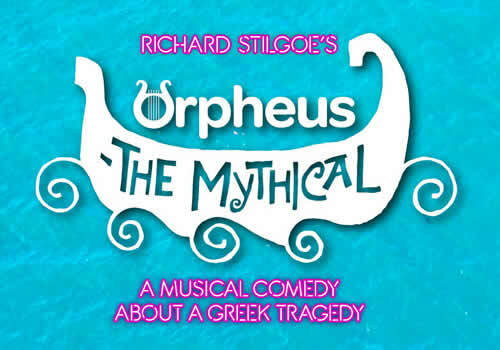 Directed by Katie Beard, whose work spans across the National Youth Music Theatre, West End theatre and regional productions, Orpheus – The Mythical features words and music by Richard Stilgoe. Stilgoe is best-known for his collaborations with Andrew Lloyd Webber, writing the lyrics for Starlight Express and The Phantom of the Opera. Subject to professional commitments, The Greek Chorus features Jane Asher, Rob Brydon, Bertie Carvel, Jim Carter, Patricia Hodge, Martin Jarvis and more, all to be played on alternate nights. The production runs at London’s The Other Palace for a strictly limited season, from 23rd March to 31st March 2018. Orpheus – The Mythical is recommended for all ages.